If fiction fuels the mind, historical fiction poured jet fuel into mine from early on. It created a lifelong fascination with history and pushed me to question everything I read. Why question? At the end of a satisfying read, I wanted more, but I needed to know: Was it true? Could it happen? Which of these people actually lived—and where and how. History Imagined sits, as my reading often does, at the intersection of fiction and history, truth and myth. My earliest reading came from American history and frequently crossed the border between pure fiction set in a historical period, such as A Light in the Forest and fiction written in an earlier era about historical events, such as Little Women. They and books like them described people and places that were both near and familiar to me. As I grew into my teens, however, my need for more adventurous reading frequently led me, as all roads led, to Rome. As an adult, my travels took me there several times as well. It may disappoint my more pious relatives to hear it, but what led me to Rome weren’t words from the clergy, but words from fiction writers. It began, I suspect, with the lives of the saints as spoon-fed in approved books for children. It took off with what they used to call sword-and-sandal epics such as The Robe, once derided in the religious press for its “naturalist” approach to bible stories. 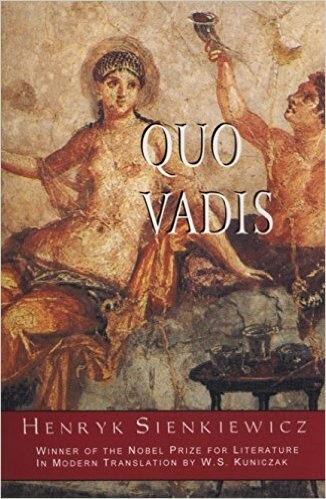 My favorite from that era, Quo Vadis probed at least a bit more deeply into the questions of ethics and faith, martyrdom and loyalty, beauty and truth. Not all Christians were admirable; not all pagans despicable. (Who would not sigh over the suicide of Petronius taking music and beauty with him?) It also mixed historical events and characters in complex webs I delighted in untangling. It raised my interest in historical fiction up a several steps. To this day I can’t resist novels set in Rome, which continue to find an audience and continue to both challenge and delight. 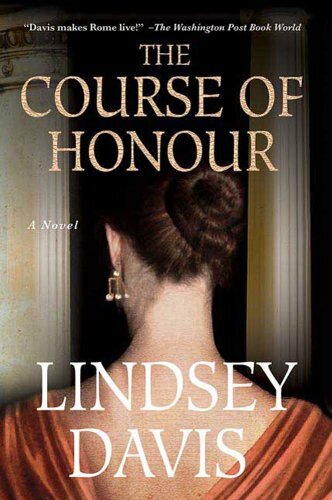 I sometimes think the characters Lindsey Davis’s Roman mysteries owe more to London’s east end than to the Rome of Vespasian, but she lays out the city itself in such rich detail it is irresistible. Her presentation of Vespasian and his sons evoke the same old need to know what is true and what is not. Thank goodness she has enriched her Marcus Didius Falco stories with two brilliant historical novels about the Flavian emperors: The Course of Honor (about Vespasian) and Master and God (about his son Domitian). Roman Britain has ever been a rich source for fiction as Rosemary Sutcliffe and Anya Seton so brilliantly demonstrated years ago. 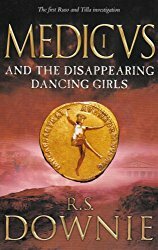 These days Ruth Downie keeps me reading and longing for the next installment of her Gaius Petrius Ruso series, beginning with the Medicus. All this reading drives ongoing historical fascination. 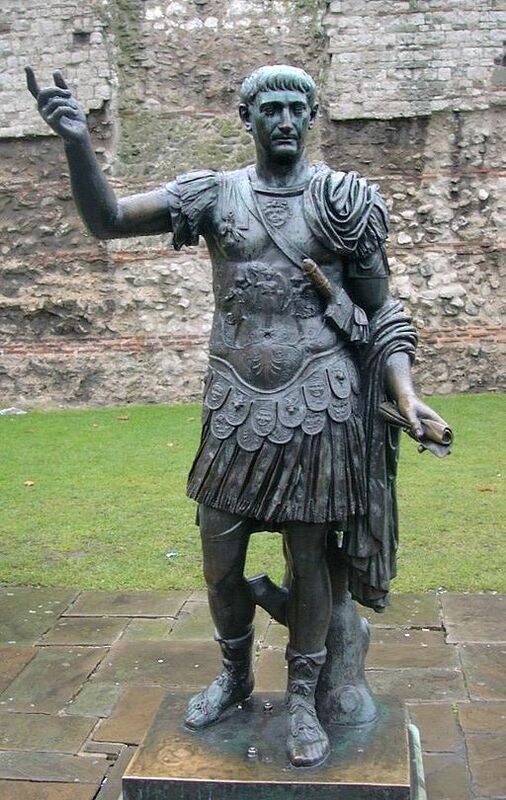 On my first trip to London, I went straight for the Tower, only to be greeted upon coming up from the underground by the Emperor Trajan and the remnants of the Roman wall. Paris? The Musée national du Moyen Âge history is in the Roman baths. Whether sitting on Hadrian’s Wall, or walking on the Appian Way, I can close my eyes and scenes from a dozen stories come into my imagination. I’m there. When I first set foot in the Roman Senate I thought I could hear Cicero. When I exited to the portico, I looked for signs of Caesar’s blood. Thank goodness for the authors of historical fiction, the artists of imagination and tellers of greater truth. Traveler, poet, librarian, technology manager—award winning author Caroline Warfield has been many things (even a nun), but above all she is a romantic. Having retired to the urban wilds of eastern Pennsylvania, she reckons she is on at least her third act, happily working in an office surrounded by windows while she currently lets her characters lead her to adventures in England and the far-flung corners of the British Empire. She nudges them to explore the riskiest territory of all, the human heart. The heroes and heroines of Caroline’s Dangerous Series overcame challenges even after their happy ending. Their children seek their own happiness in distant lands in Children of Empire. The first of the new series, The Renegade Wife, set in Upper Canada in 1832, comes out in October. Its sequel, The Reluctant Wife, set in India in 1835, will follow in April, 2017. ← Happy New Year 2017 from Becky, Caroline, & Linda!! What a wonderful post, Caroline! I must show it to my hairstylist, since he asked me a similar question the other day and I did a horrible job of telling him why I write historical fiction. Thank you! That’s a sweet complement. Great post, Caroline! I, too, love historical fiction and Roman Britain history and I re-read Rosemary Sutcliffe’s SWORD AT SUNSET every few years. If you like mysteries set in that time, have you read those by Rosemary Rowe? She has a whole series set in the era with a wonderful protagonist who is a freed British slave who is now a Roman citizen (and a pavement maker by trade). Wonderful, witty series with fascinating insights into the era. I will look for those. Thanks for the tip. I love this post! It so captures what resonates deeply with all lovers of historical fiction! Thank you for this lovely post. I have always been a huge fan of Ancient Rome. While researching and writing my last novel that takes place in WW2 Nazi-occupied Rome, I found many correlations between the Christians and Pagans and Jews of Ancient Rome, and the Nazis and Jews and partisans of WW2 Rome.